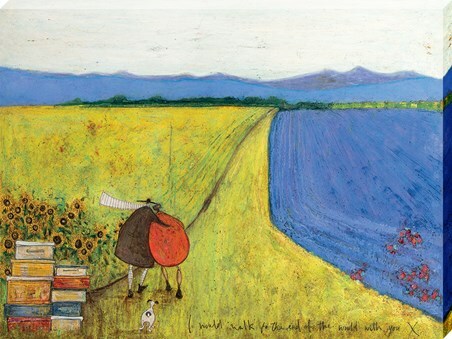 Art Print: Join the comical Rudy Duck on another hapless adventure with this colourful contemporary art print by artist G Servello. Hang on tight as Rudy Duck revs up the throttle of his shining red drag star motor bike and prepares to ride off into the sunset. 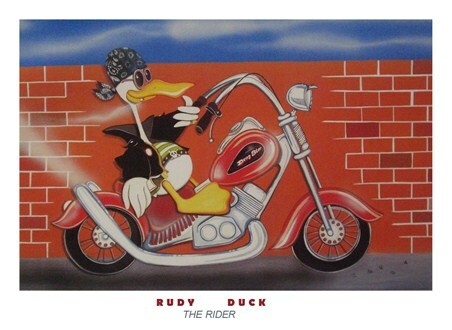 Wearing dark glasses, a leather jacket, a skull belt and a black bandanna, he looks set to join the Hells Angels as they ride through the outbacks of America. 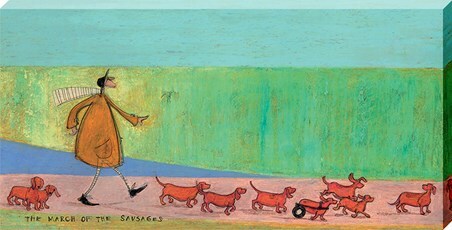 Servello's contemporary art work is sure to lift the mood of any room in your home with its comical over tones and bold colours, making this a great print of cartoon fans of all ages. 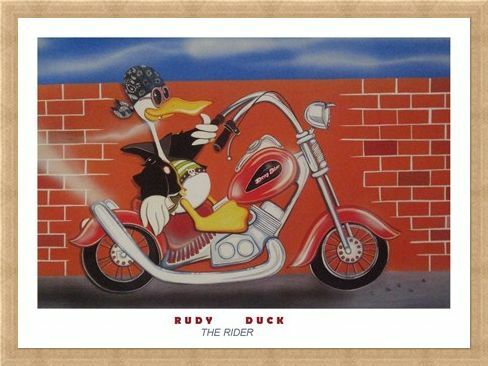 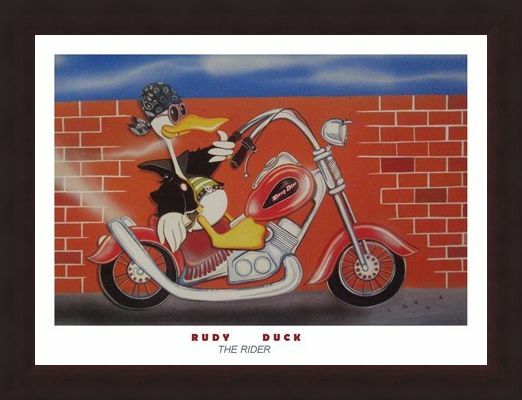 High quality, framed The Rider, Rudy Duck by G Servello print with a bespoke frame by our custom framing service.